Purchase a 1-year subscription to any one of these products for $10 a year. A 1-year subscription entitles the purchaser to access one of the web based programs below, for one year from the date of activation. 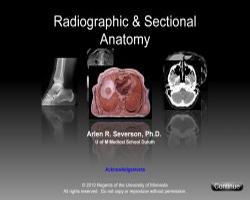 You will receive a product key for online access to anatomicalsoftware.com upon purchase of your title. Multiple license keys can be ordered at one time. Subscription keys will be emailed from the UMD Medical School, within 2-4 business days of being processed. If you prefer to have the key mailed to you, please indicate in the "Customer Notes" field when checking out. There is no charge for shipping or processing of subscription keys. Please order these items separate from any other merchandise or textbooks. 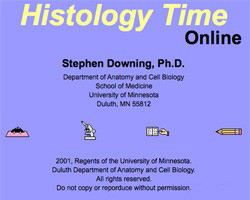 To purchase a 1-year subscription, click on the appropriate link above. For questions about purchasing subscriptions or licensing, please contact Cheryl Pearson or call (218) 726-7571. 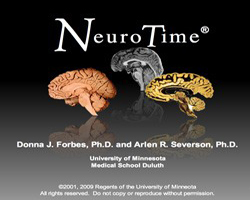 Questions regarding NeuroTime® may be directed to Donna Forbes or Arlen Severson. © 2017 University of Minnesota Duluth The University of Minnesota is an equal opportunity educator and employer.